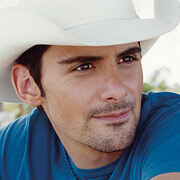 Brad Paisley Bradley Center tickets are still available for January 13th. Brad Paisley has earned many accolades in the country music community and this should be a great concert. Lower level and floor seats are still available for this concert. If you're still looking for a holiday gift idea, Brad Paisley tickets would be a great idea for a country music fan. Use discount code "jingle" through tomorrow in order to receive 10% off your ticket purchase from Ticket King Milwaukee.